Going off the grid. It sounds so scary and rugged. And yet, improvements to solar cell efficiency, storage systems, and power monitoring are making stand-alone gridless solar systems look less like the ramblings of your paranoid neighbor and more like the next wave of the future, as solar technology continues to evolve at breakneck speed. Here at Modernize, we like to stay on top of the latest solar trends. Here’s a look at how technological progress is giving those who dream of self-sufficiency even more reason to believe. Off-grid living has its challenges, chief among them, generating enough power to cover your electricity needs. Luckily, solar panels have become increasingly more efficient—cells made in 2015 can now convert about 23 percent of available energy to useable power. If that doesn’t sound like a lot at first glance, consider that it’s an increase from 15 percent in 2012. That’s a big jump for a few years. The pace of solar technological breakthroughs is actually pretty astounding. For instance, on October 2, 2015, SolarCity announced that they were unveiling a solar cell that had a 22 percent efficiency rating, and then, less than a week after that, rival company Panasonic produced a cell with a 22.5 percent rating. This kind of competition is great for those interested in going off the grid—not only does efficiency mean less reliance on batteries and backup generators, but advances in the manufacturing process are driving consumer system prices down, making leaving the grid more and more affordable. Along with system efficiency, another major issue facing off-the-gridders in the past was how to store backup power in case their generated power didn’t cover their useage. Generally the solution was to use a gasoline generator, which can get expensive! That may not be the case in the near future: no longer will a homesteader have to ride out a few blackouts in order to make it off-the-grid. 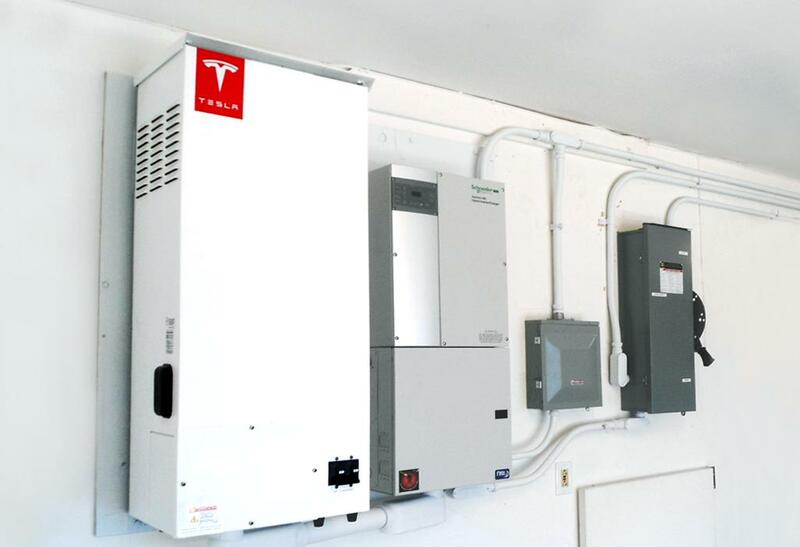 In fact, Tesla (yep, the same people who make the fancy cars) have teamed up with SolarCity to develop a more advanced solution to backup storage—a less bulky, acid-free battery. Their new gigafactory is expected to disrupt the utilities market and allow even grid-tied solar users to be less dependent on big power companies. It’s not total self-reliance, but microgrids—small communities with independent grid systems who share power—are expected to become increasingly common in the near future. Better batteries will make storage for these small facilities even easier, but they’ll also be made possible by the development of smart metering. Old “dumb” meters largely estimated usage and costs. But smart meters are able to provide real-time use data, which is important in tracking efficiency and the strain on the load of the grid—especially if you’re working with a smaller useage area. In the meantime, we hope you didn’t take too long reading this. With technology moving this fast, you might have missed another exciting development! Very Interesting & Helpful also informative post. I thick technology is the main pert of our life. Thanks for sharing with us.